Maverick Publishing Hosting headquarters are centrally located in the Northeast (USA), and operates out of four diverse data center facilities throughout the country: Dallas, Los Angeles, Chicago and New York. Contact us with any additional questions or for more information. Maverick Publishing’s Customer Care Program offers a fully interactive help site. You can find answers to the most common questions and issues in the Knowledge Base. Or submit a ticket with other issues to our higher level technical staff. The site is designed to provide a place for customers to ask their questions without the hassle of a lengthy hold over a phone call. We’ve taken great strides to provide reliable access to you. Our bandwidth saturation average (a measure of how crowded our systems are) is less than 30%. We have redundant DS-3 (capable of 45Mbps each) lines with diverse routes to the Internet Backbone, ensuring our servers always have an active connection to the Internet. BGP Peering allows us to automatically re-route traffic away from “Internet Traffic Jams.” This means when one part of the Internet slows down your site will not be caught in the bottleneck. All of our servers are fast Dual Pentium III based technology with 512+ MB of RAM. We keep our servers at less than 50% capacity so even when traffic peaks, our servers won’t overload. er packages come feature-rich and competitively priced. We stand behind our products and service. 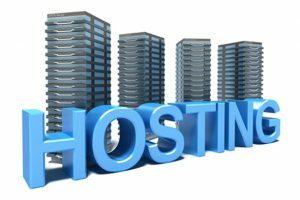 In fact, we guarantee that you will always get reliable hosting, competent support and professional service – or we will issue you a refund. Our industry leading money back guarantee allows you to have peace of mind and to try our services risk-free. All hosting packages are eligible for a full refund for 30 days. Terms and conditions may apply. You can read all about our guarantee in our Terms. ed on each of our servers, unlike the majority of our competitors who host large amounts, anywhere from 500 to 1000 domains per server. With such a small number of domains on each server there is a lower server load, disk access time decreases and network speed increases. t also the fastest. This is why we have our exclusive Max Speed Zones, which include a choice of data centers. Maverick Publishing is hosting customers whose skills range anywhere from novice-level to experts. These range from personal websites to large corporations. 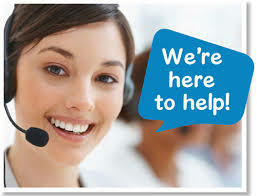 The Maverick Publishing customer service center offers assistance in any area. When the call center cannot resolve a customer’s issue, the dedicated Customer Care Team steps in to facilitate the resolution of any problem, whether billing, technical or administration. Maverick Publishing is constantly striving to give the support needed for a successful Internet presence for your business! Our Managed Hosting solutions is insurance for your server. We are here to ensure you stay online. Managed Hosting is for users and companies of all sizes. This team is focused on creating best-fit solutions for your unique needs. Have more questions about what we do? you can reach us by email or by calling us at (484) 666-5333.